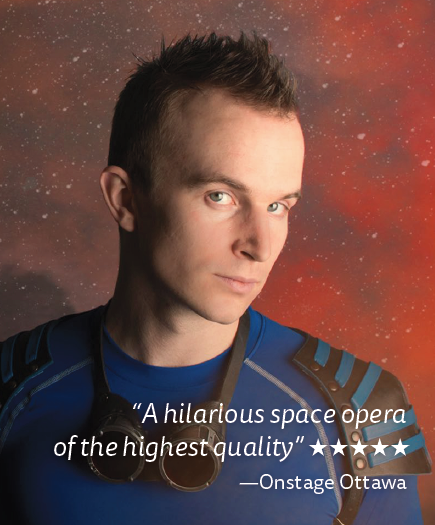 Jeff Leard’s award-winning original sci-fi solo comedy has everything you’d expect from a big budget silver screen spectacular: Action…romance…socialist undertones…cool special effects…a stool. Zach Zultana works on a lonely mining colony orbiting Jupiter. He spends his days refining ore transported in from the asteroid belt and sleeps in a 12’x12′ room, but all of that changes after a chance encounter with a mysterious woman. Before long Zach becomes the face of a revolution as the miners rise up against their oppressive boss. Jeff Leard is a writer and performer based out of Vancouver. Jeff has created several original solo and duo comedies and toured them across the Fringe festival circuit. His work has earned him numerous awards including: Outstanding Performance (Toronto Fringe), Critic’s Pick (Ottawa & Calgary Fringe), and Best Solo Show (Victoria Fringe).